My poem “Snails” is featured on Vox Populi, one of my favorite sites to visit. Vox Populi’s mix and quality of poetry, politics and culture astounds me. This entry was posted in Poetry and tagged creative writing, culture, life, nature, poem, poems, poetry, politics, science, writing by robert okaji. Bookmark the permalink. Congrats! Inward, inward and upward! Yes, indeed! Inward and upward. Heliciculture, it would seem, IS very much like harvesting poetic dust from the cosmos. Every time interact with one of these little garden variety wonders, I wax poetic, too. Lots to ruminate on in this one! Bravo! Wow, this poem is astonishing. I love it. Thanks for the tip. I’d never bookmarked Vox Populi. Now I have. 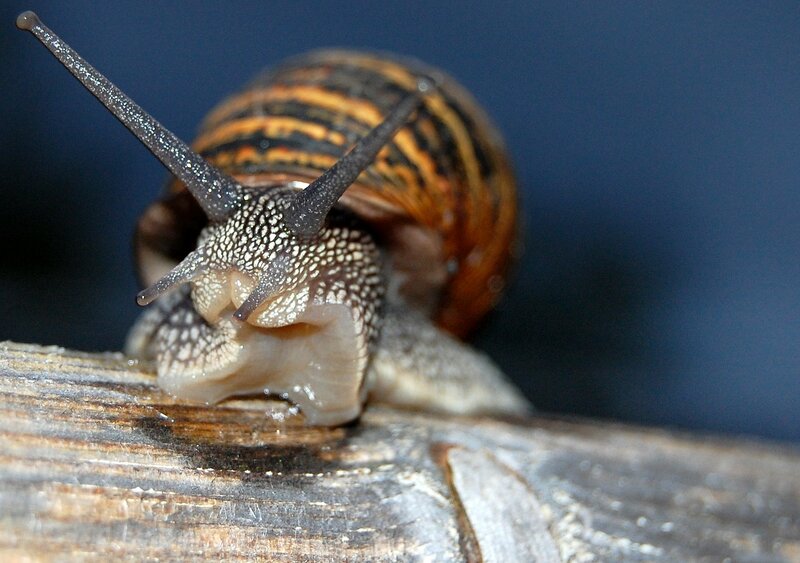 I may adopt “Snails” as my anthem since I gave away all my furniture, car, stuff last year, and now carry my house on my back as an intermittently employed hitchhiker in central Europe. The “intricacies of harvesting slime” may indeed be in my future. And soon! Hi, Gary. I’ve become too much the hermit to lead your “snail’s life.” Good luck with the slime! Thank you, Michael! I’m so pleased you took this one! Thank you. My apologies for the delayed reply. I somehow missed your comment. It’s ok Robert 😊. Take care and have a great day ahead !! Cheering for you Bob. I follow Vox Populi as well and you did it! Another wondrous poem Robert, such an enjoyable read.